Published: Dec. 2, 2018 at 03:40 p.m. Published: Dec. 4, 2016 at 01:36 p.m. 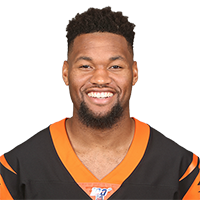 Published: Aug. 28, 2016 at 11:48 p.m.
Cincinnati Bengals quarterback A.J. McCarron finds wide receiver Cody Core for a 53-yard gain.